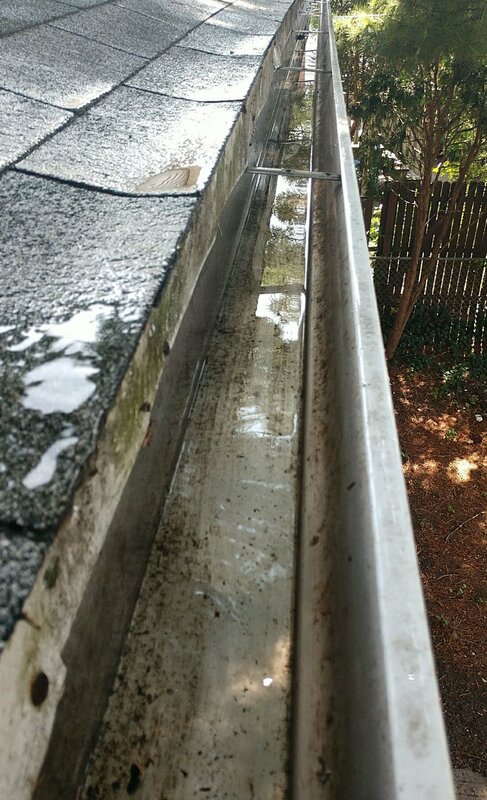 Gutter Cleaning Chicago-Why we clean your gutters. A House is the biggest investment made to provide shelter and comfort to Families. Your House can be a haven that builds precious memories and we think your home deserves to be protected. WATER, if channeled properly is not an enemy to your home. However, if not channeled properly, it can cause major harm on and around your home. An inch of rainfall doesn’t sound like much. But when it falls on an average-size roof, it adds up to a 1,900-gallon torrent sluicing off the eaves. If your gutters aren’t up to the task of controlling it, mix that with high winds, the problems can start showing up quickly. Whether it is a couple pounds of debris stopping the water flow or hundreds, debris that get into a gutter and downspout system prevents proper water flow and adds additional weight to the support system- causing the system to pull away from the roofline. 50-75% of water overflow issues are solved during cleanings. Though, due to the delay in your gutter cleaning service, 25-50% of issues need additional solutions to improve the existing system. A gutter cleaning will help to eliminate or prevent ice buildup on a gutter and downspout system. We do our best to make recommendations on ice build-up prevention. Removing debris from all gutters and downspouts. FREE 10 Step Property Protection inspection for any repairs. FREE onsite clean up after service. 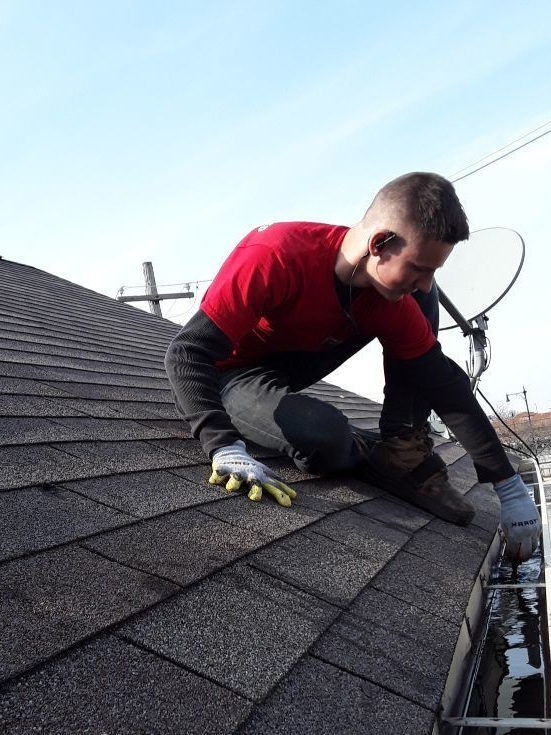 *As part of our Free inspection, we take onsite photos and send them to you, the client, in order to educate you on your home during the gutter and downspout cleaning all while creating a clear vision of any next steps. 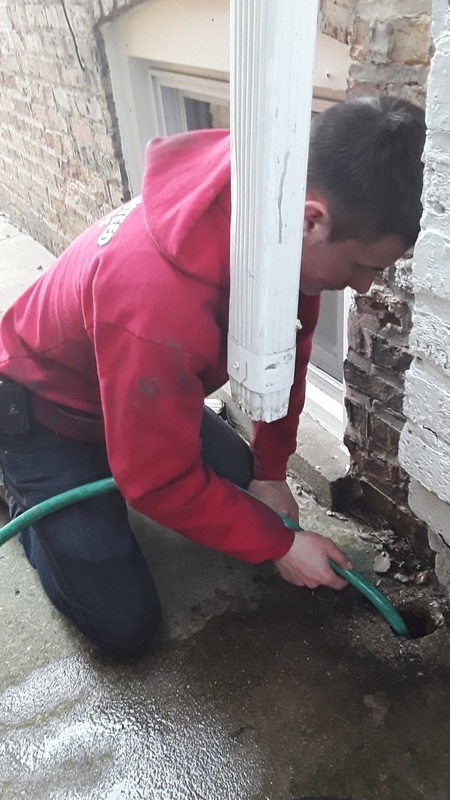 If you have any questions to help determine on how you can take care of your home's needs or would like to speak with one of our service specialists about a gutter and downspout cleaning service, give us a call and we would be happy to answer any questions to help educate you.